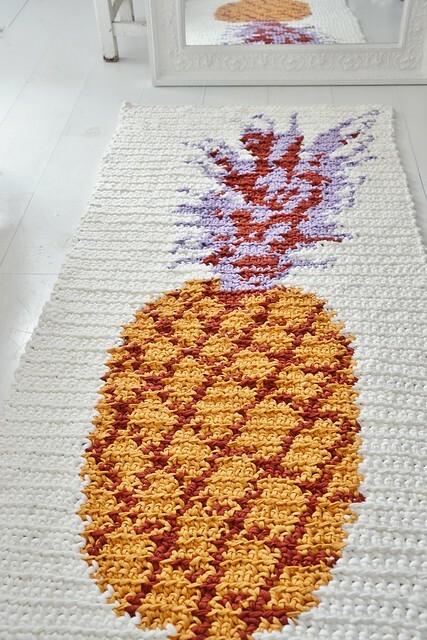 During the making of the pineapple pillow, I immediately had in mind to begin a major pineapple project. The spools of fabric yarn in perfect colors were already 'waiting' in the cabinet. Hey, I mean a lilac plume, what could be more beautiful? 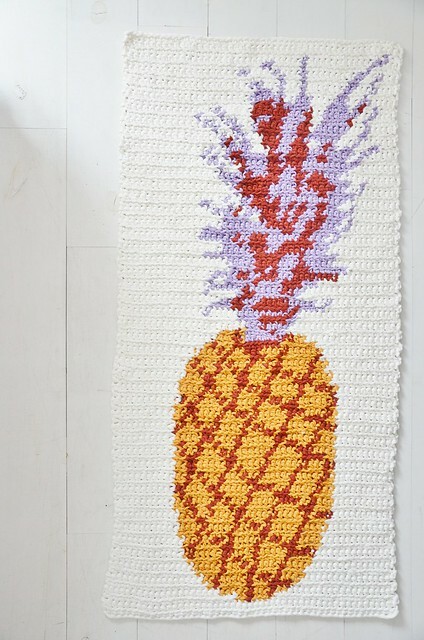 Do you feel like freshen up your place with a pineapple rug? 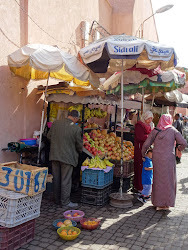 You can find the pattern in my E T S Y shop. W À U W! What a beauty! Dar word je vrolijk van. 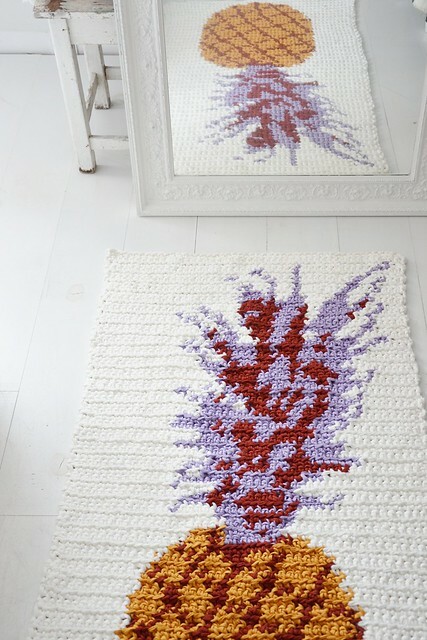 Super mooi ontwerp! Dank je wel, Ingrid. Textielfabrique had ik ook al ontdekt. Die zijn inderdaad geweldig! Hij is prachtig geworden! Mijn complimenten! A shopping tip, H&M Home in Rotterdam have some nice pineapple articles. 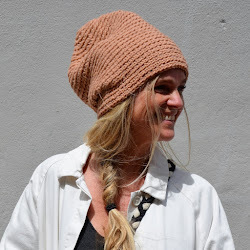 While I am here, thank you again for the lovely crochet morning a few weeks ago in Dordrecht. I finished my gloves with just enough wool. Was lovely to meet you.